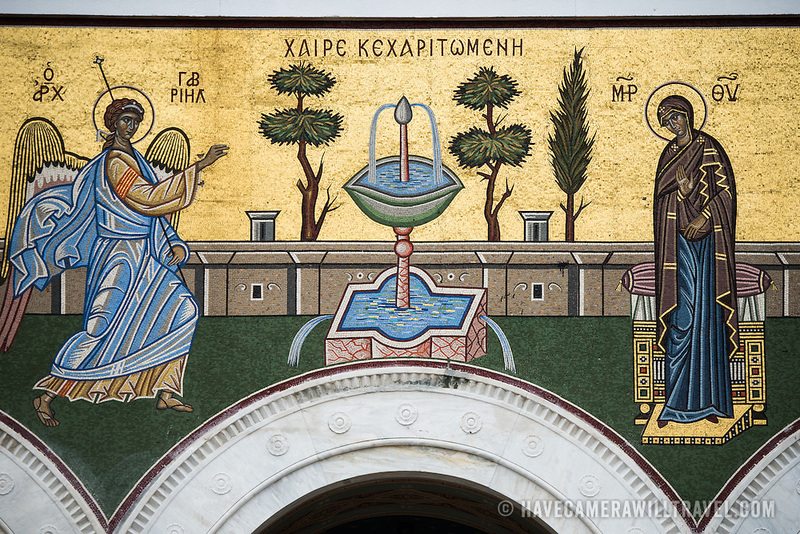 A mosaic that sits above the main entrance of the Metropolitan Cathedral of Athens. Dedicated in May 1862, the Metropolitan Cathedral of Athens (also known as Metropolitan Cathedral of the Annunciation) is the cathedral church of the Archbishopric of Athens and all Greece. It sits on a square not far from Monastiraki and the Ancient Agora.